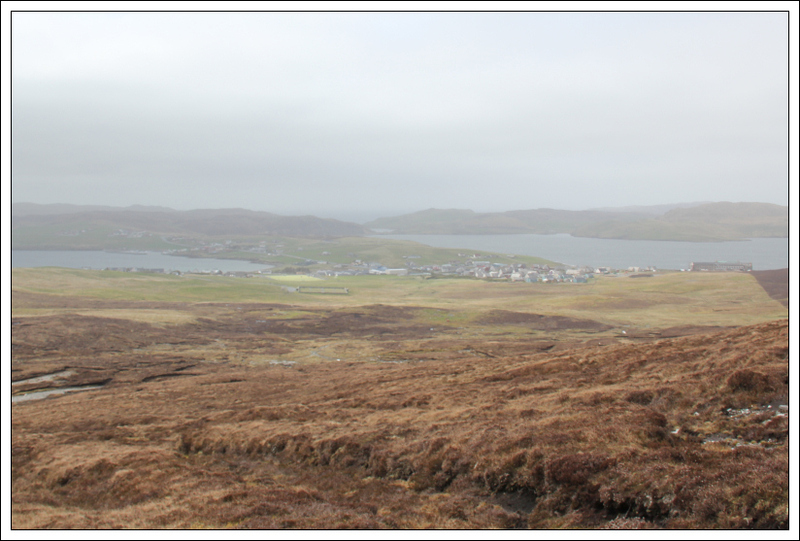 During the next week, John, Derrick and I hope to ascend all 19 Marilyns on Shetland. If all goes to plan, this will involve taking eleven ferries and four flights to get to Yell, Fetlar, Unst, Bressay, Noss, Fair Isle and Foula as well as Mainland Shetland. 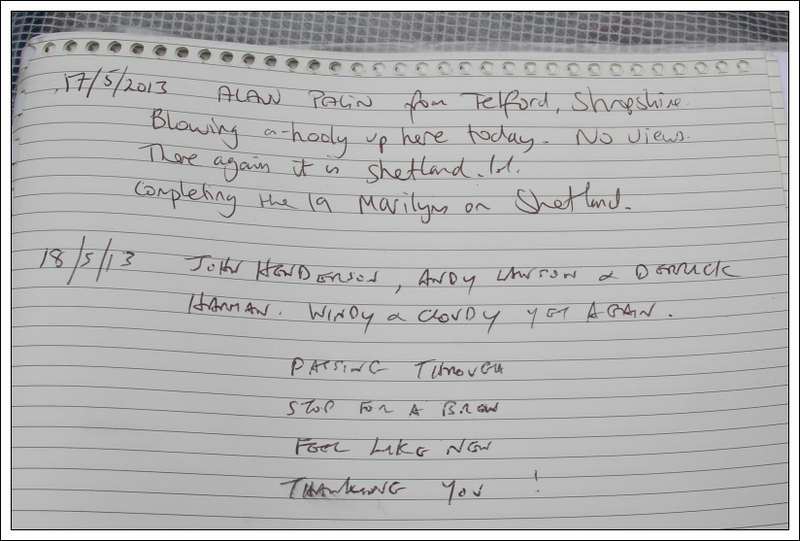 Thanks to John for working out most of the logistics for Operation “Shetland Pony”. 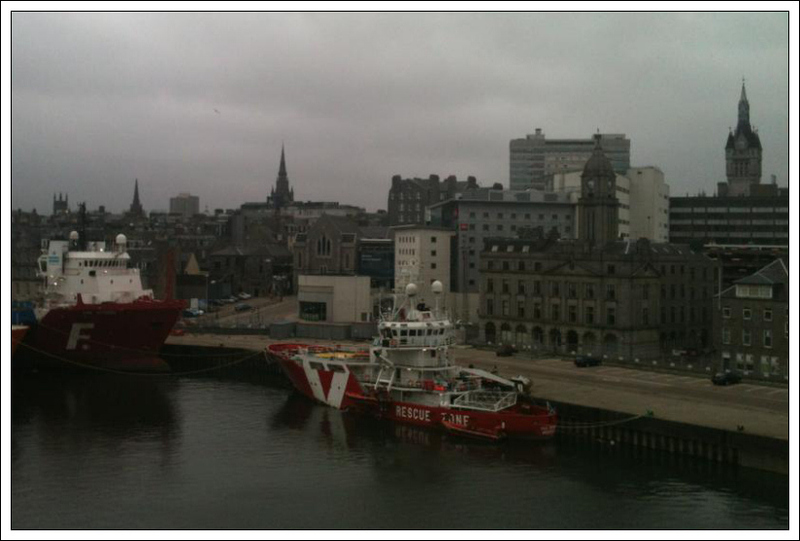 On Friday afternoon, we caught the train into Aberdeen and then boarded the Northlink ferry from Aberdeen to Lerwick. 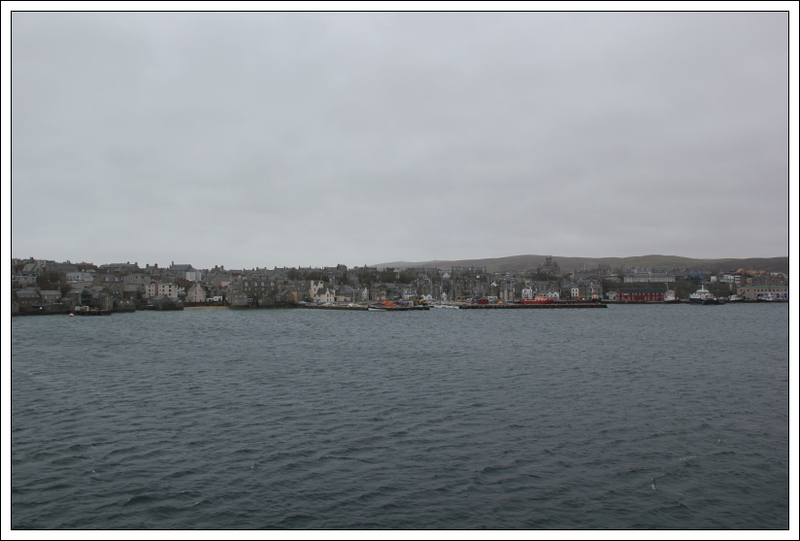 12.5 hours later we arrived in Lerwick. 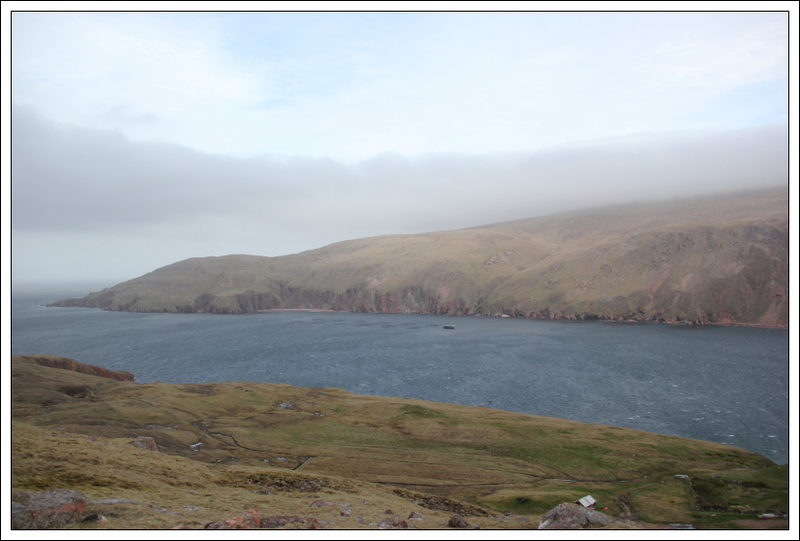 After picking up our hire car, we set off for Mainland Shetland (North) to ascend Ronas Hill, White Grunafirth, Dalescord Hill and Mid Ward. 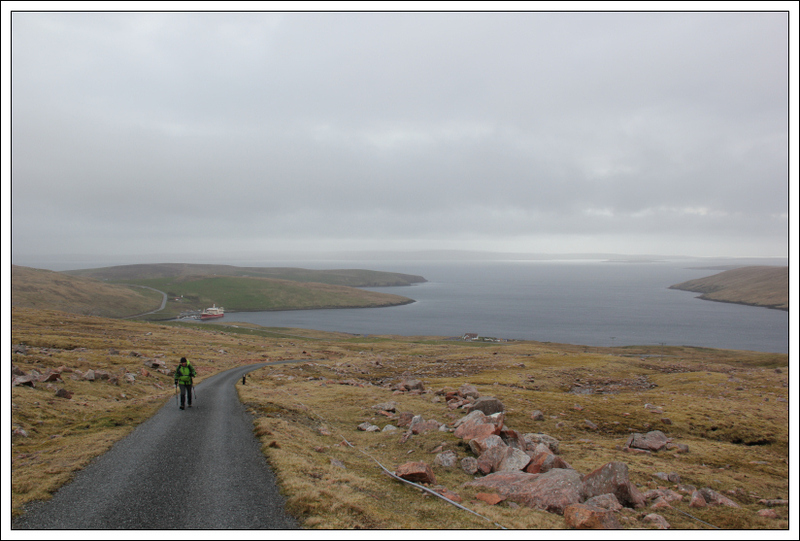 It is cheaper to hire a car in Shetland for eight days than to take your own car across on the Northlink ferry! 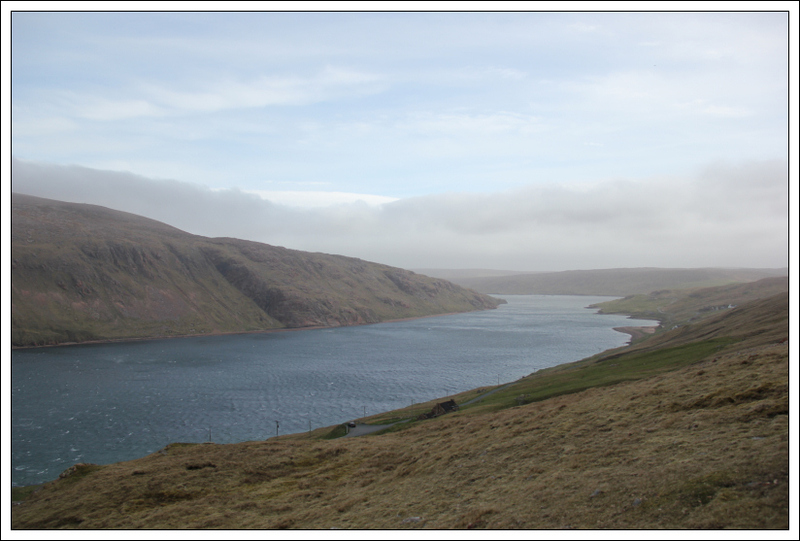 We parked at the start of the track leading up Collafirth Hill. 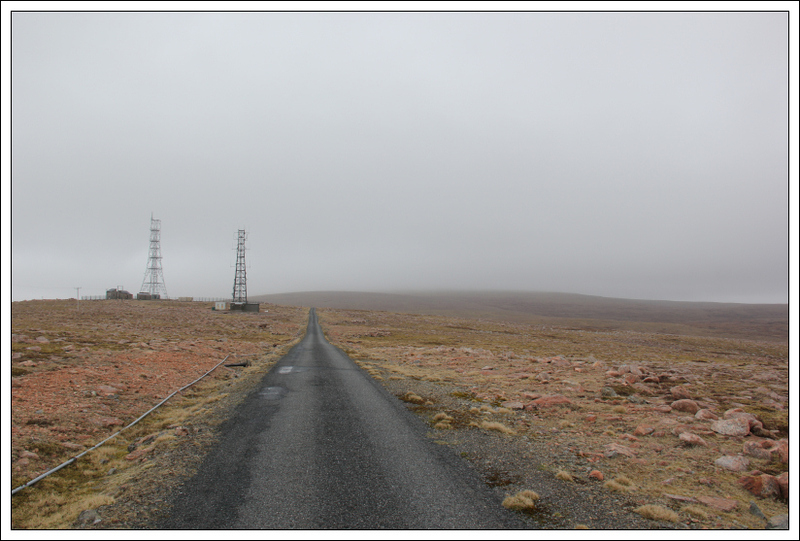 It is possible to drive to the summit of Collafirth Hill however we opted to walk up. 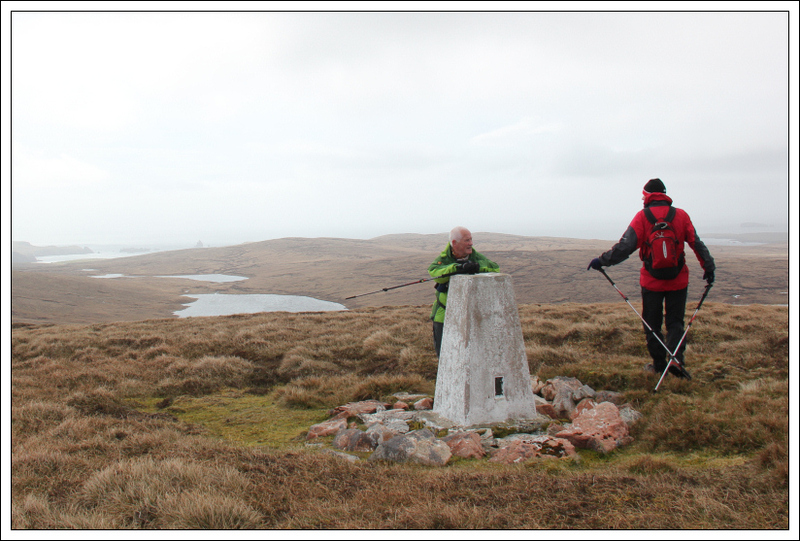 Thanks to the tarmac track, we made fast progress to the summit of Collafirth Hill. There are a number of transmitters at this summit. 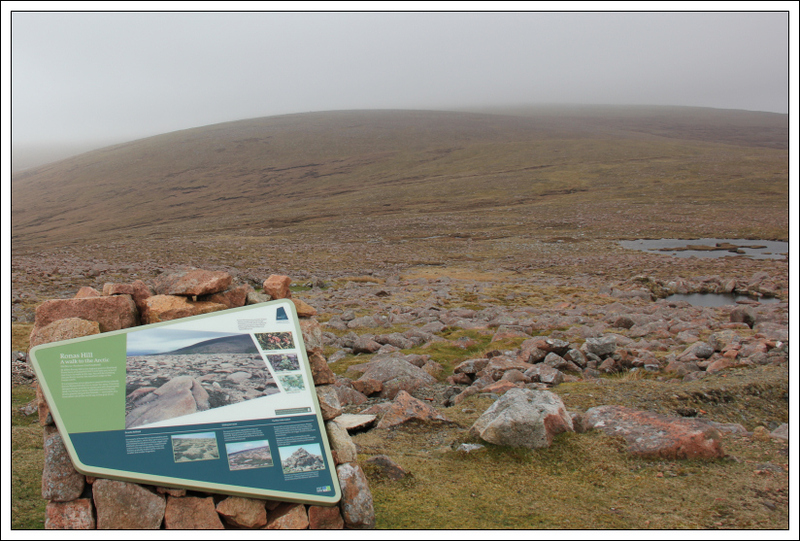 At the top of Collafirth Hill there is an information sign about Ronas Hill. 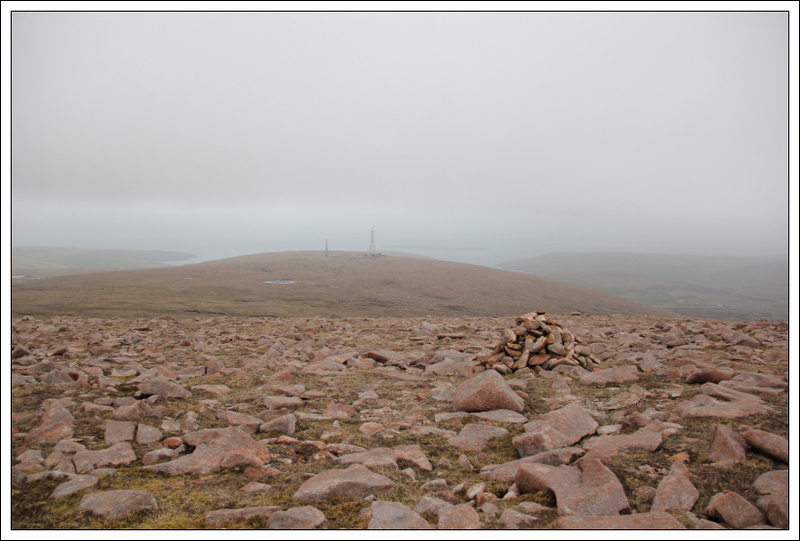 It only took us 50 minutes to reach the summit of Ronas Hill from the summit of Collafirth Hill, so “two hours” would be at a very slow pace. It was disappointing that Ronas Hill was capped in cloud. On the plus side, it remained dry throughout the day. 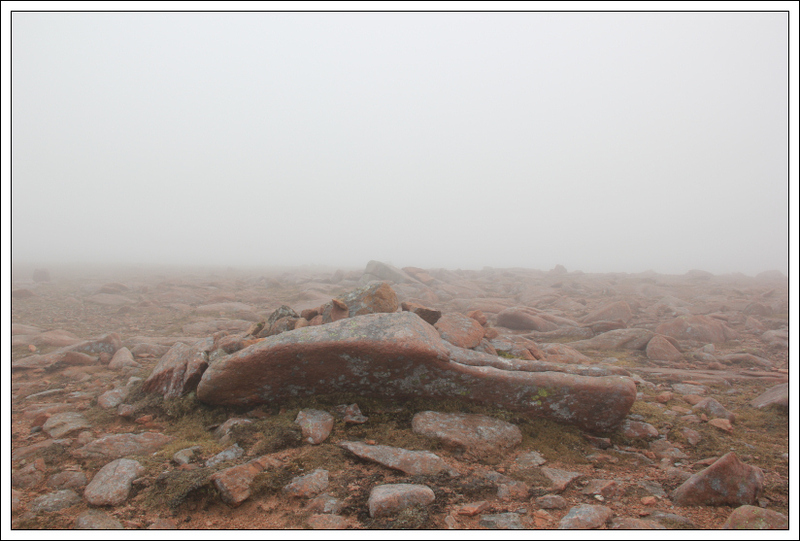 Once into the mist, I didn’t take any photos until reaching the summit area. 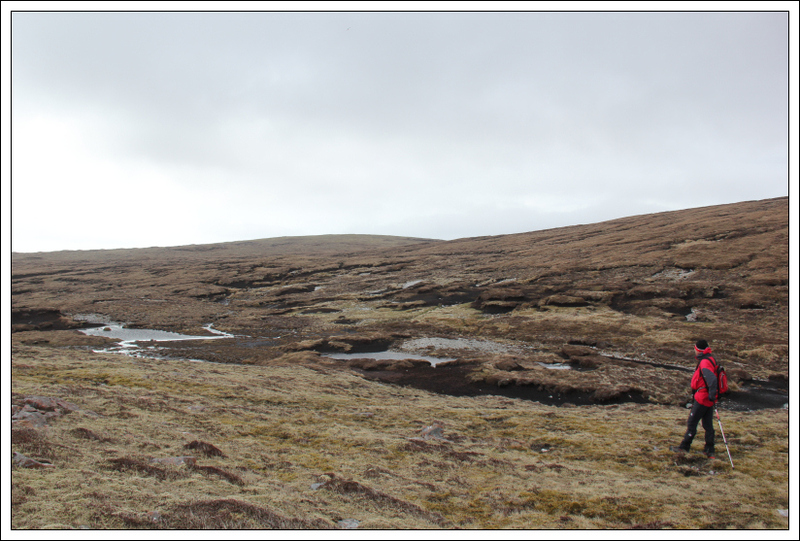 The terrain from Collafirth Hill to Ronas Hill reminded me of being on the Cairngorm plateau – lots of granite boulders and very barren. 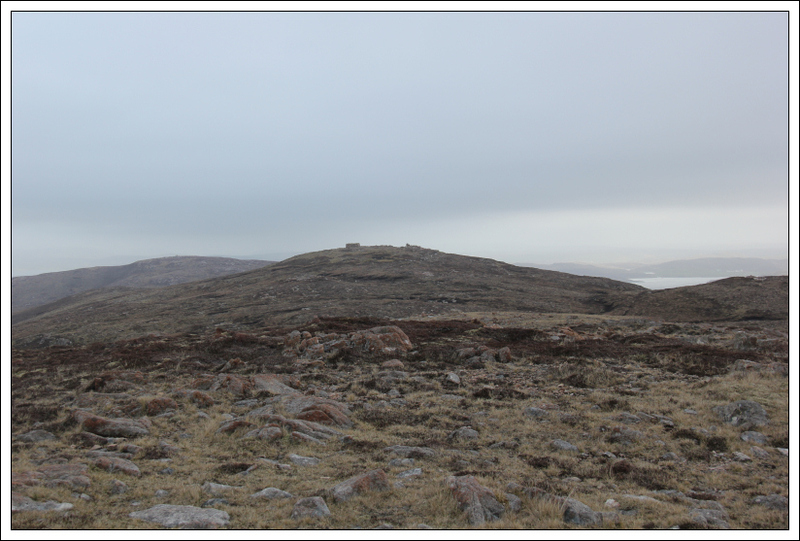 At the summit area, we visited the large chambered cairn, the trig point and shelter and the summit rock, which according to the Database of British and Irish Hills is an oblique red granite slab. Within the summit shelter is a metal box containing a summit book. John signed the book on our behalf. On looking at the book, I was really surprised to read who had ascended this hill the day previous. Small world! From the summit, we returned to the car via the same route. 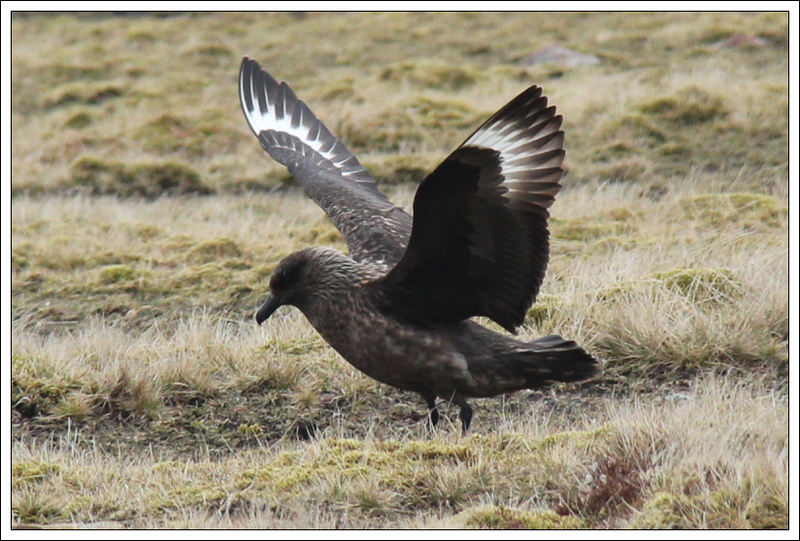 During the descent, we passed a Great Skua (Bonxie). Despite getting fairly close to the bird, it showed no interest in attacking us. 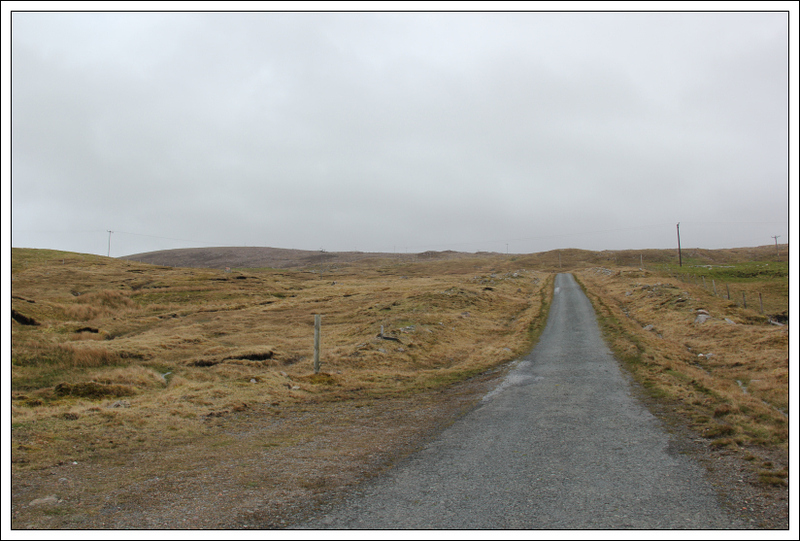 On reaching the car, we drove to Heylor the starting point of White Grunafirth. 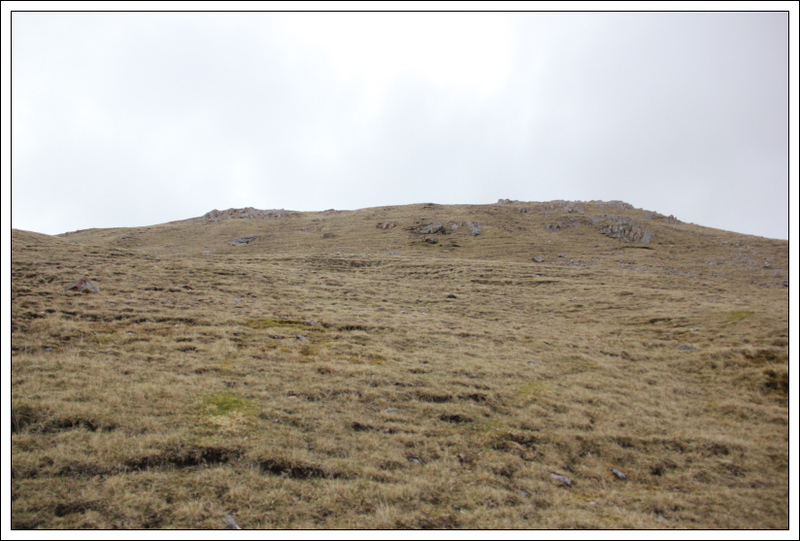 The initial ascent of White Grunafirth was fairly steep but straight-forward. 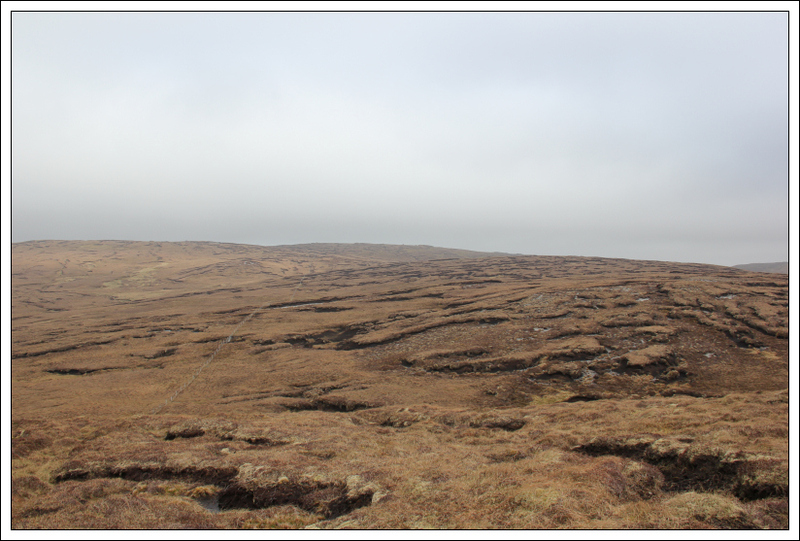 However, after ascending circa 80m the terrain changed from grass to hags. 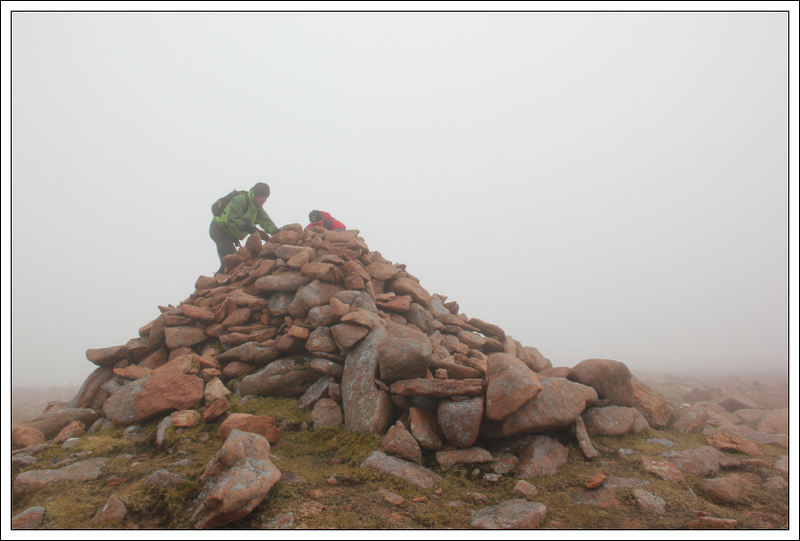 Despite all the hags, it didn’t take long to pick a route through them towards the summit. 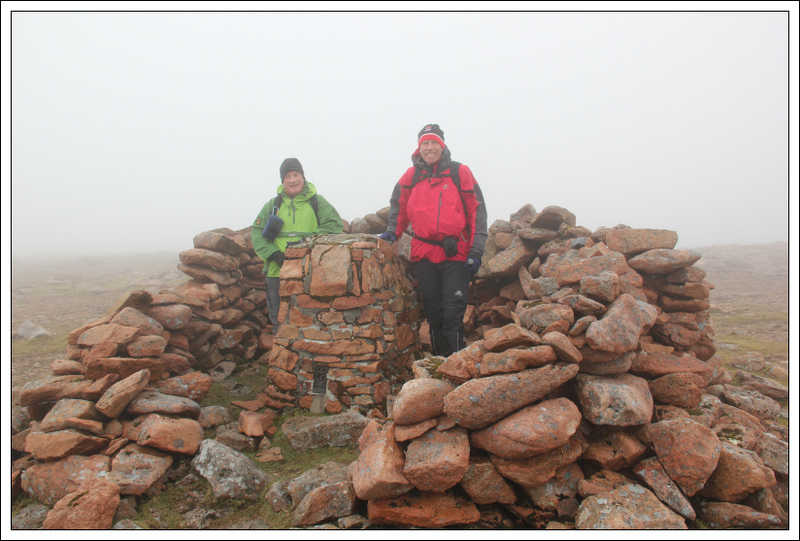 We reached the summit of White Grunafirth in just under 30 minutes. 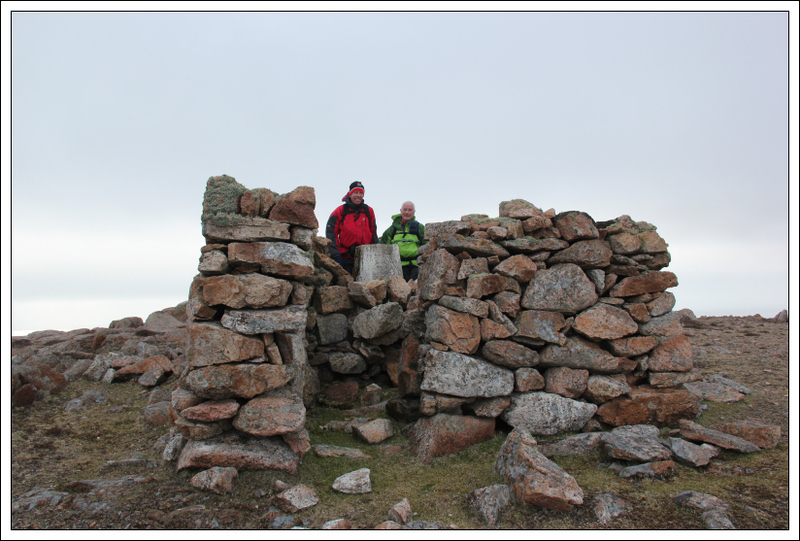 The summit is featureless ground not too far from the trig point. I think this hill would be a good viewpoint on a good day. 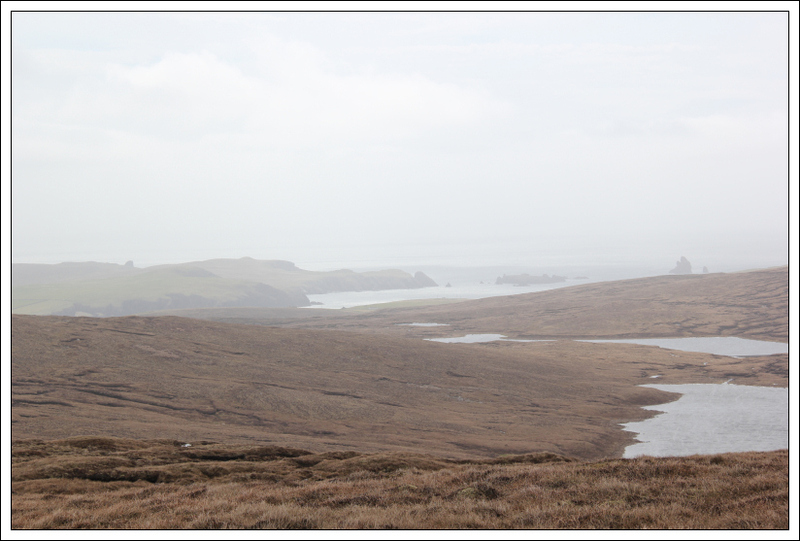 We returned to the car via a different route avoiding most of the peat hags. 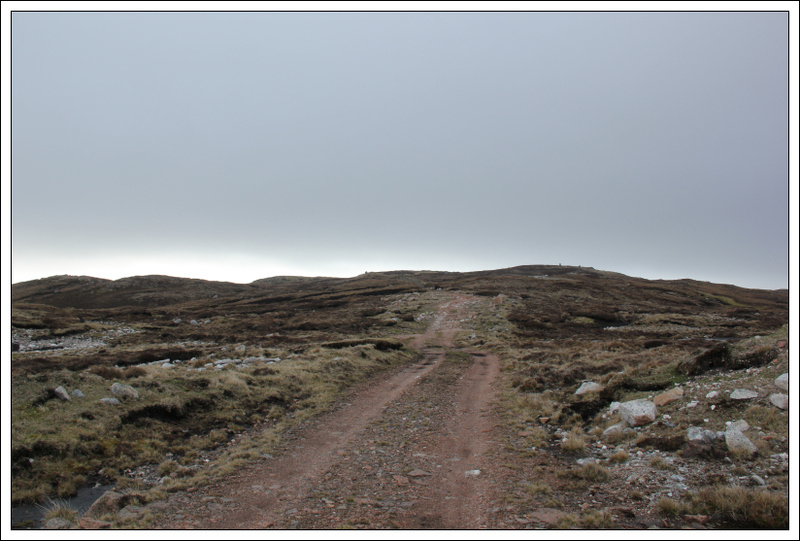 On returning to the car, we drove to Brae for an ascent of Dalescord Hill. The first kilometre was pleasant walking along a good track. 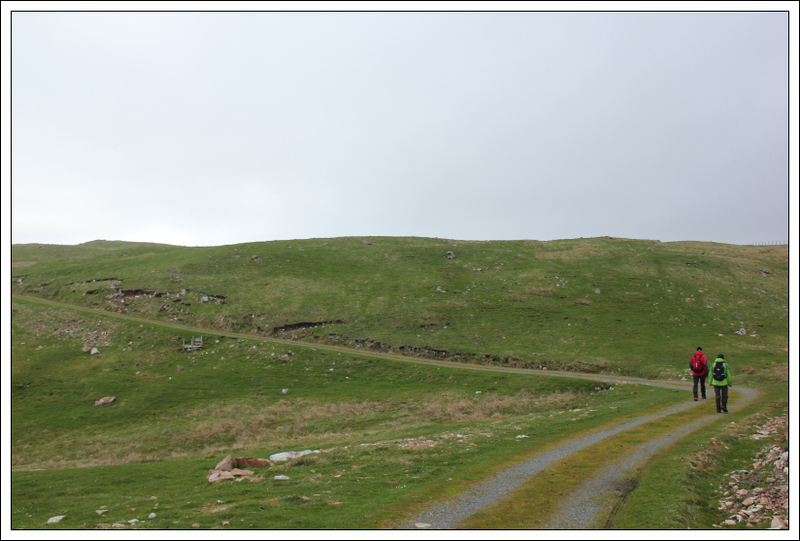 Once beyond the track, the ascent of Gallow Hill was also not too bad. 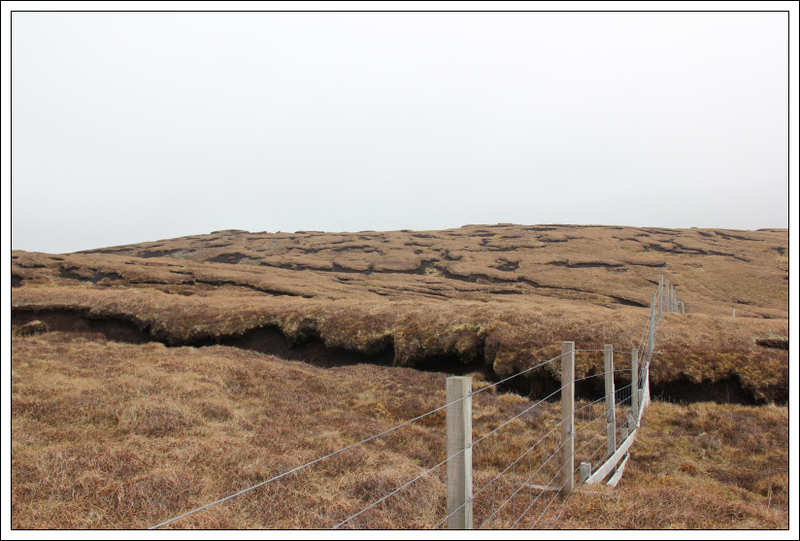 However, from Gallow Hill to Dalescord Hill the terrain was awful – almost two kilometres of peat hags to negotiate. 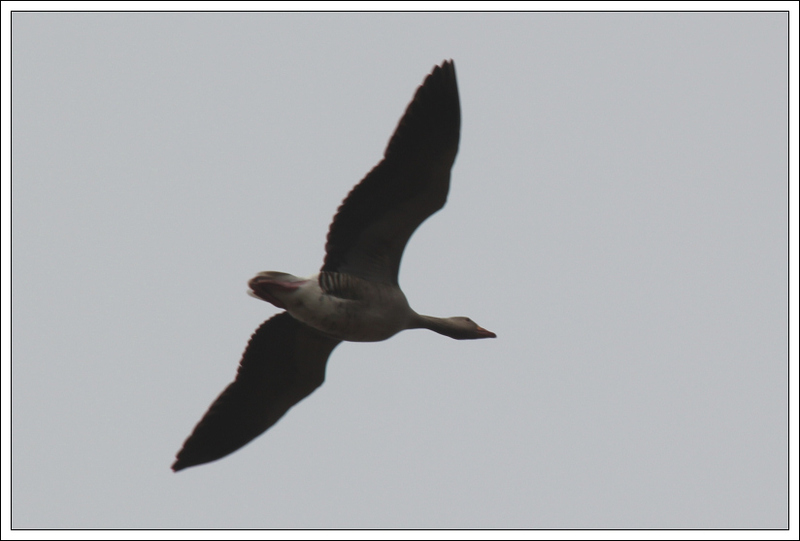 As we progressed along the peat hags, a Greylag goose flew out from about three feet away from us while two others were circling above. It didn’t take long to find the reason. 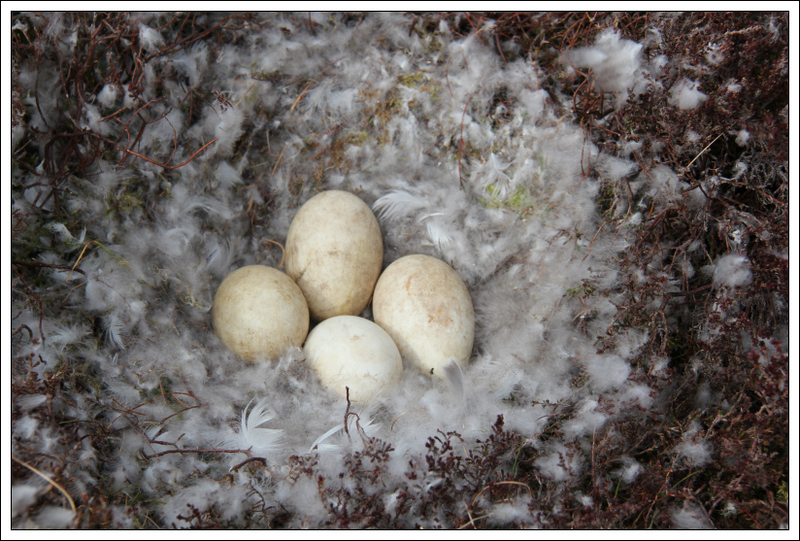 I only took one photo of the nest then moved away quickly to allow the parent to return to the nest. 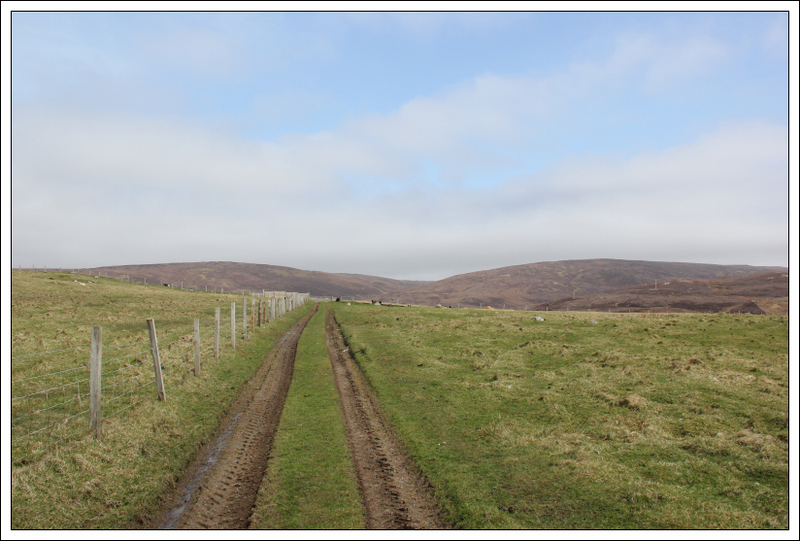 Between Gallow Hill and Dalescord Hill we followed the fence through the hags. On reaching the fence junction, we had to climb over the fence. 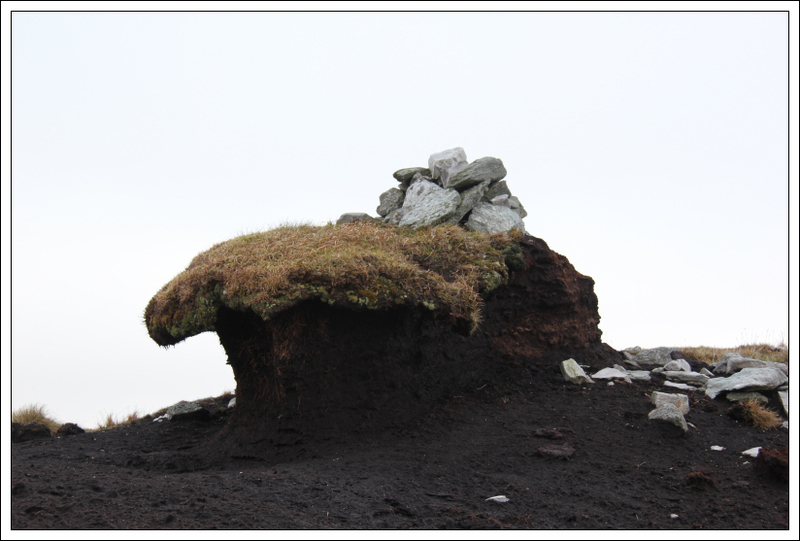 The summit of Dalescord Hill is a cairn on top of a peat hag. 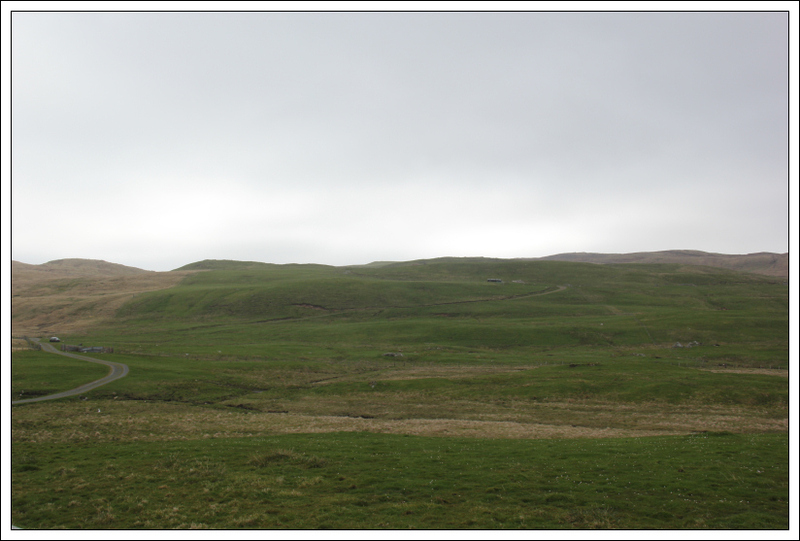 From the summit of Dalescord Hill, we returned to the car via roughly the same route. 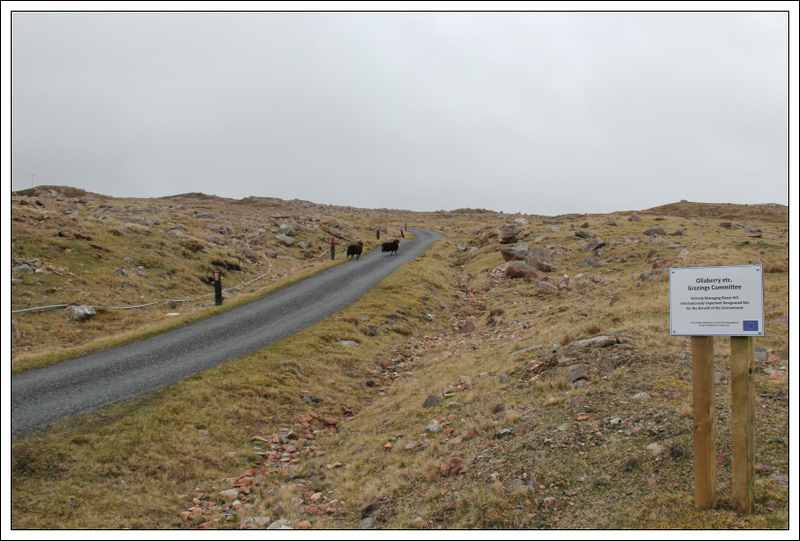 We then drove to Muckle Row for our final ascent of the day. Not much to say about the ascent of this one. We followed the good track almost all the way to the summit of Mid Ward. After taking a few photos at the summit we decided to head across to South Ward where we could see a large summit shelter. 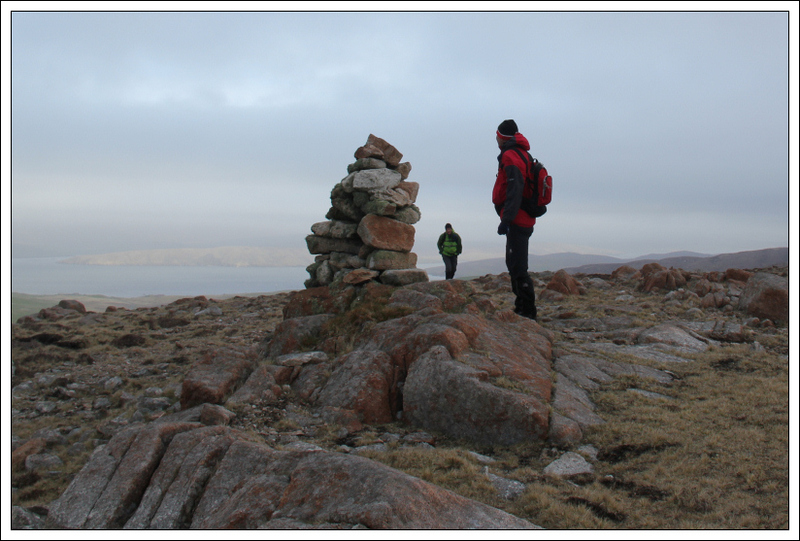 From the trig point / shelter, we descended directly to pick up the start of the track leading back to the starting point. This was a fairly tough day due to the terrain. 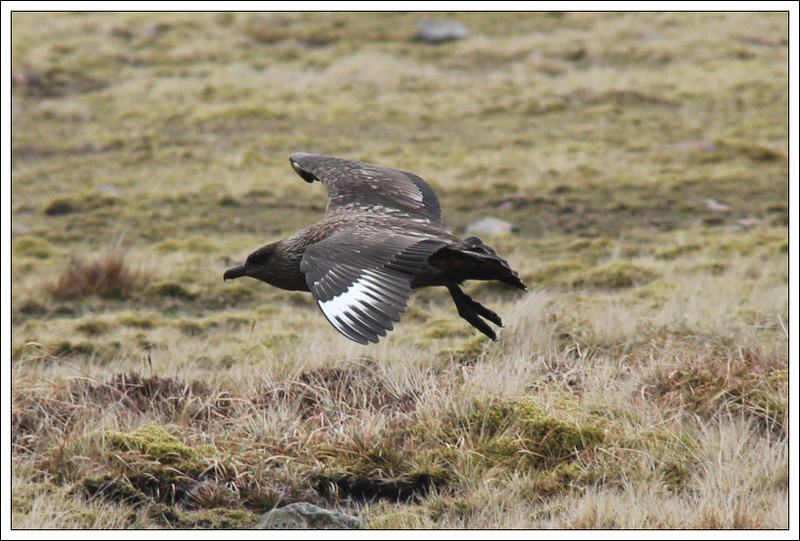 While the views were disappointing, owing to the low cloud, the wildlife was awesome! Today we saw: Curlew, Ringed Plover, Golden Plover, Skylark, Oystercatcher, Hooded Crow, Great Skua, Black Headed Gull, Greater Black Backed Gull, Snow Bunting, Lapwing, etc. We will hopefully see much more as the week progresses.